Timekeeping is a traditional workforce management solution used to ensure workers are properly compensated for hours worked. A mutually beneficial practice, it protects both employees and employers from abuse at many angles. However, times have certainly changed since its inception in the late eighteen hundreds. The digital age has provided millennials with a "work smarter, not harder" mentality. A modern-day revolt to the traditional forty-hour workweek, the working class of the twenty-first century has developed a genuine dislike behind the idea of "punching the clock". Throughout this article, we will explain the advantages and disadvantages associated with implementing a time clock system in the workplace. Depending on your company policy, an excessive number of "tardies" can result in termination of employment. However, according to Diana DeLonzor, author of "Never Be Late Again", many late people are "subconsciously drawn to the adrenaline rush of the sprint to the finish line" and that many offenders "get an ego boost from getting as much done in as little time as possible." In applying this theory, one could argue the tardy mentality to be beneficial in the workplace. Furthermore, LinkedIn founder, Ilya Pozin, has a completely different take on the traditional forty-hour workweek. He claims, "it's from an era when the number of hours on the clock was a simplified measurement of productivity. Setting specific time parameters for your employees ties their success to when they come and leave the office-not what goals have been met." Applying Pozin's ideology, let's say you run a sales agency. Your company policy indicates that all employees must begin working at their scheduled start time, and they are not permitted leave until their eight-hour shift has been completed. Your top producer, Bryan, brings in a third of the monthly revenue on a consistent basis, making him the top producer each month. However, Bryan is chronically late. Though usually only by five minutes, his failure to clock in at his scheduled start time has placed him on a final warning and, according to company policy, if he is late one more time, he'll be fired. Does Bryan's frequent tardiness outweigh his dedication and drive to being the top producer each month? Or would adopting a different goal-setting measurement system prove to be more beneficial? The use of a time clock in the work place provides employers with peace of mind in knowing they are not falling victim to time theft. 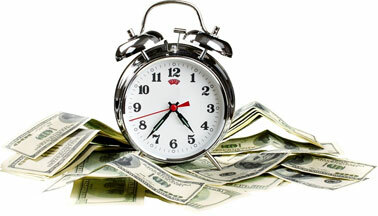 Time theft occurs when an employee accepts pay from their employer for work that has not actually been done, or for hours that have not been worked. It is most commonly committed in the form of over-extended breaks and misinforming an employer about actual hours worked. In addition, timekeeping systems help employers remain legally protected as they assist in maintaining compliance with the Fair Labor and Standards Act (FLSA). Employees who punch a time clock have a clear expectation of when their workday beings and ends. This protects employees from being taken advantage of and working extra hours without proper pay. Time clocks also provide employees with a printed tracking of all hours worked. In the event there are any discrepancies reflected in the hours worked on a pay-stub, employees can always refer back to their time clock log to ensure they receive proper compensation. Deciding on the use of a time clock for your employees should be heavily evaluated. Though oftentimes used as a safeguard against labor law violations and time theft, the use and implementation of a time clock system plays a major part in how a company-and its employees-operates.